Is your Spidey sense tingling? Good. It must mean that the trailer for Avengers: Infinity War is here — and it finally is. After debuting at Disney’s D23 Expo and San Diego Comic-Con this past summer, the first footage from the movie has finally made its way into our lives. And judging from the first trailer, that’s not necessarily a good thing for us, let alone the Avengers. Thanos — that purple bad guy who has been teased over the last handful of movies in the Marvel Cinematic Universe — is up and out of his chair, ready to collect all the Infinity Stones for his Infinity Gauntlet, and rule (and possibly destroy) the galaxy. He’ll stop at nothing to get these stones, and he’ll destroy everyone who stands in his way. Good thing there are like, 30+ people who will be standing in his way, when the Avengers — ALL! THE! AVENGERS! — come together to take him down…hopefully. 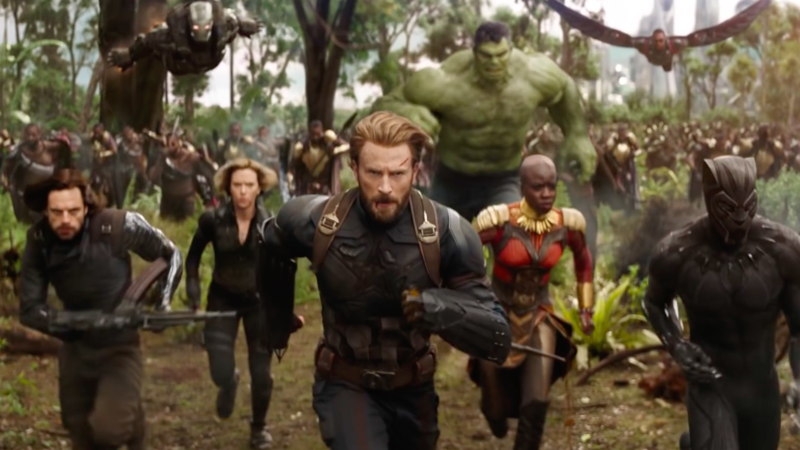 Judging from the first trailer, this task will be harder than it looks, and there’s no getting around it: One, if not multiple, Avengers are going to fall and not get back up again. Start bracing yourselves for the most heart-pounding, stressful, and emotional Marvel movie to date. The trailer teases that the Avengers were initially assembled to come together and save the world when others could not, and MY GOD LOKI WHAT ARE YOU DOING, HAVEN’T YOU TRIED AND FAILED TO GET THE TESSERACT CUBE ENOUGH, THERE ARE BIGGER THINGS AT HAND. Dude, you need to pick a side and stick with it. Aside from the fact that Loki might be good, he might be bad, who knows anymore, the Avengers from far and wide — and that includes space, talkin’ about you, Guardians of the Galaxy — are here to save us. But can they? When they get knocked down, who’s going to save them? Avengers: Infinity War hits theaters on May 4th, 2018. That means Tom Holland and Mark Ruffalo have roughly 156 days to spoil the rest of the movie for us.